Please contact Speech Teach for information about the current Schedule of Professional Fees. Speech Teach has HICAPS and Medicare EasyClaim and can conveniently process your rebate at the time of consultation requiring only the gap payment to be made. 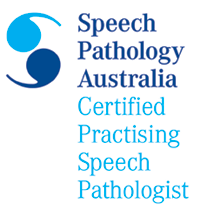 Speech Teach’s speech pathologist has a provider number which provides registration with all health funds. Please contact your Private Health Insurance fund to find out if your policy provides for speech pathology services. 1. Chronic Disease Management Plan - These Medicare plans and items are for GP management of children, teens and adults with chronic conditions who require multidisciplinary, team-based care from a GP and at least two other health or care providers. Eligible patients can claim a maximum of five (5) allied health services per calendar year. Speak with your GP if you feel your child or you may be eligible for a team care plan. Speech pathology consultations to provide therapy services following diagnosis of Autism Spectrum Disorder (up to 20 services in total per child). 3. Better Start for Children With a Disability Initiative. A moderate or greater vision or hearing impairment, including deafness or blindness. Angelman, Kabuki, Smith-Magenis, CHARGE, Cornelia de Lange or Cri du Chat Syndromes. A child is eligible to access the disability initiative if he/she has a treatment and management plan provided by a specialist, consultant physician or general practitioner before the child’s 13th birthday. Speech Teach is a member of the Early Intervention Provider Panel. Eligible children and teenagers can claim their funding through Speech Teach. Eligible children can be registered to access early intervention funding of up to $12,000 (up to a maximum of $6,000 in any one financial year). Parents or carers of eligible children need to register their child for the HCWA funding before the child turns six years of age. To register a child parents and carers must call the Autism Adviser on 1800 428 847 or (07) 3273 0000. Prayer Willi, Williams, Angelman, Kabuki, Smith-Magenis, CHARGE, Cornelia de Lange or Cri du Chat syndromes. The funding can be used to pay for speech-language pathology services. Eligible children must be registered before their sixth birthday and families have until their child turns seven to use the early intervention funding. Up to 35% of a child’s early intervention funding can be used for the purchase of resources. This means that up to $4,200 in total out of the $12,000 can be used for resources, up to a total of $2,100 in any one financial year. Parents or carers of eligible children need to register their child for the funding before the child turns six years of age. Registration of eligible children is managed by the dedicated Registration and Information Service (RIS), which is operated by Carers Australia. To register a child for the Better Start early intervention funding parents and carers must call the RIS on 1800 242 636. Speech Teach is a registered provider with WorkCover Queensland and can provide assessment and therapy services for workers with voice disorders (e.g. teachers and members of Clergy) who have a valid referral from their GP. Quality assessment and therapy for all speech, language and literacy difficulties. Experience and qualifications in speech pathology, primary and special education. Government approved provider for FaHCSIA Helping Children with Autism & Better Start for Children with Disability Initiatives.